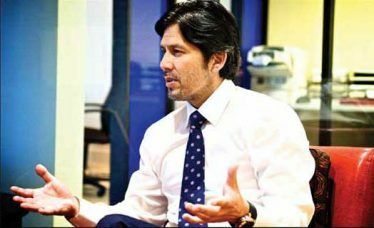 The California Legislature’s adoption of Senate Bill 100 – committing the state to have an electricity grid powered by 100 percent renewable energy in 2045 – was billed by Sen. Kevin De León, D-Los Angeles, (pictured) as another landmark triumph for the environmental movement in the Golden State. But the measure’s relatively narrow adoption in the Assembly – on a 44-33 vote – carries loud hints from Democrats who represent poor communities that they see environmental policies that add to the cost of living as increasingly problematic in the state with the nation’s highest level of poverty. The Assembly Democrats who opposed SB100 besides Gray: Anna Caballero of Salinas, Jim Cooper of Elk Grove, Tom Daly of Anaheim, Jim Frazier of Oakley, Mike Gipson of south Los Angeles, Sharon Quirk-Silva of Fullerton, Blanca Rubio of the San Gabriel Valley and Rudy Salas of Bakersfield. The issue of how poor people would be affected was very much part of the debate in the run-up to the 2006 adoption by the Legislature of the landmark anti-global warming Assembly Bill 32, which mandated the use of costlier but cleaner energy sources. As a result, a portion of cap-and-trade fees on pollution permits are designated to go to “disadvantaged” communities. A 2017 report by the California Climate Investments state website said that $614 million in cap-and-trade fees had been spent on these communities, including helping nearly 30,000 homeowners with solar panels and other energy-efficient projects, as well as funding more than 2,600 affordable-housing units. But most of the 20 percent-plus of state residents who are impoverished get relatively little direct help in dealing with overall energy costs that aren’t just higher on average than any other state with a relatively temperate climate; they’re also higher than states with harsh winters like Montana and Colorado. And because of unique state rules and fees, gasoline costs more in California than any state but Hawaii. California’s emergence as the nation’s most impoverished state only became evident in 2011, when the U.S. Census Bureau began issuing state-by-state poverty statistics that included the cost of living. This has helped create an appreciation in the Legislature of the need to add housing stock to try to slow the sharp increase in rent and home prices over the past quarter-century. But a recent study by Chapman University’s Center for Demographics and Policy found that state energy policies were also a major contributor to high poverty rates. The study faulted state agencies, starting with the California Air Resources Board, for their impact studies which have consistently minimized the effects of laws like AB32 on the less affluent. “Notably absent [in the air board’s ‘scoping plan’ for AB32] is any discussion of how the state’s existing costs, let alone additional burdens, severely harm lower-income and historically disadvantaged communities and households,” the study noted. Gov. Jerry Brown has so far declined direct comment on SB100, but most Capitol watchers expect him to sign the bill. The governor has called climate change the state’s and nation’s most pressing problem.